The KECHARA FOREST RETREAT (KFR) was conceptualised by H.E. 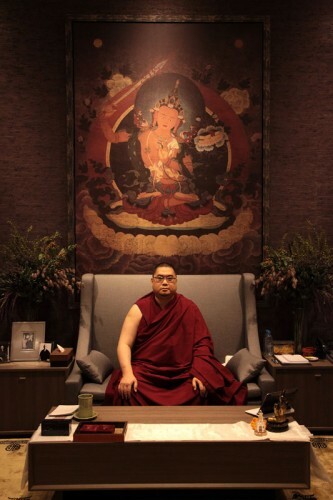 Tsem Rinpoche to be the heart of the Kechara organisation. 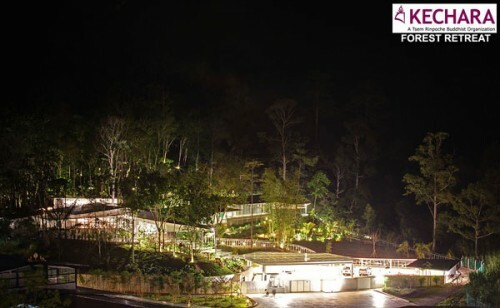 It will be a place away from the hustle and bustle of city life. This is where anyone can take a break from our modern hectic lives to rest, relax and recharge within this beautiful holistic centre. 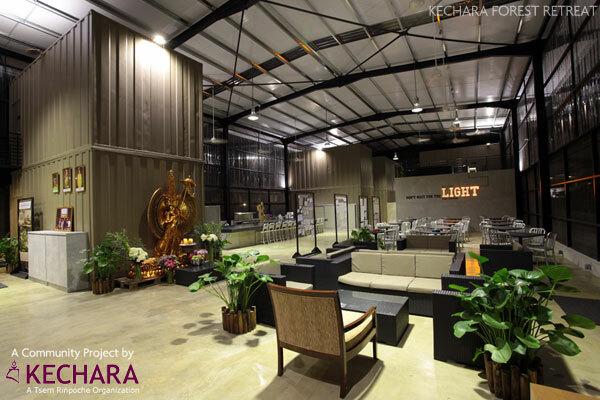 In the near future, this will be the place to be for anyone who wishes to seek spiritual solace and for those who wish to have some time out of their daily toil of city life. 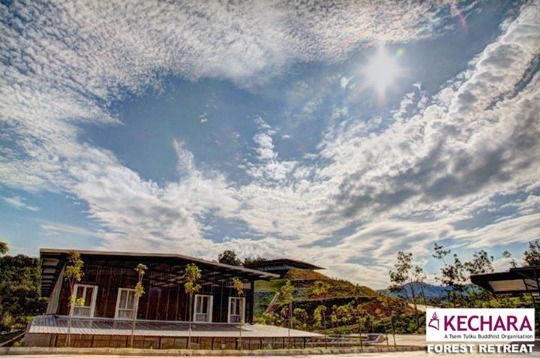 The creation of this forest retreat is an instrumental step towards getting closer to our ultimate goal – Kechara World Peace Centre (KWPC). 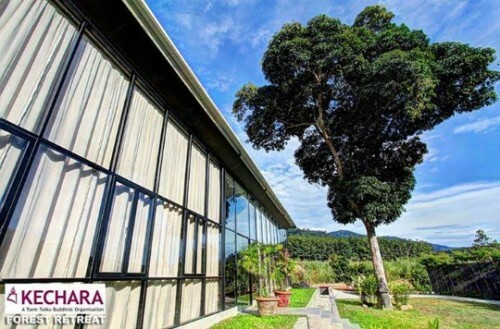 This retreat center is conceptualised to embrace nature, hence the name Kechara Forest Retreat. The moment you step into KFR, you will be greeted by beautiful flora and fauna. This is a place where families and individuals will find peace, nourishment and inspiration within a natural forest environment. 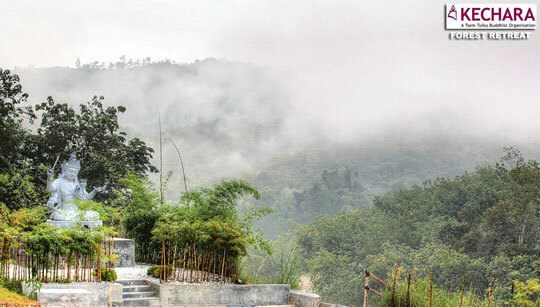 Nestled in the middle of the land will be Wisdom Hall where everyone can go to engage in prayer, contemplation and meditation amidst a tranquil and natural surroundings. 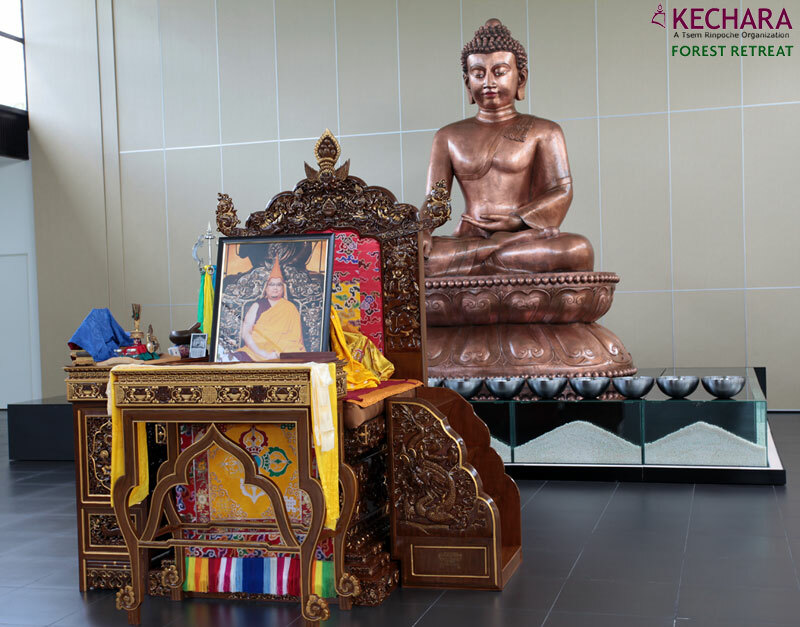 The Kechara Forest Retreat experience is all about getting reacquainted with spirituality that will leave our mind and body rejuvenated. Thus allowing us to take on whatever challenge that comes next. Here, you will give back to society through educational programmes for the young and the old, by instilling universal values such as patience, acceptance, kindness and compassion. 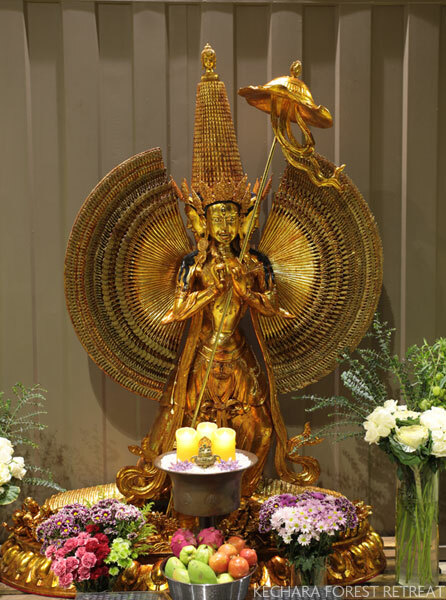 It is a unique opportunity to experience a sustainable spiritual lifestyle within a conscious community. 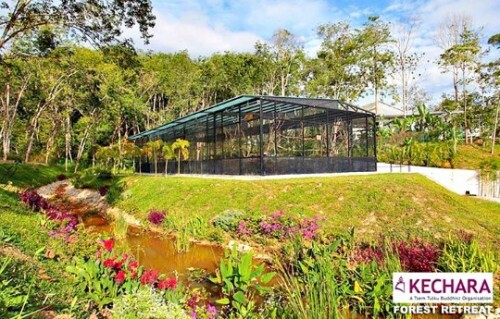 Kechara Forest Retreat – Experience the beauty of nature. Clean air. Fresh food. Peace. 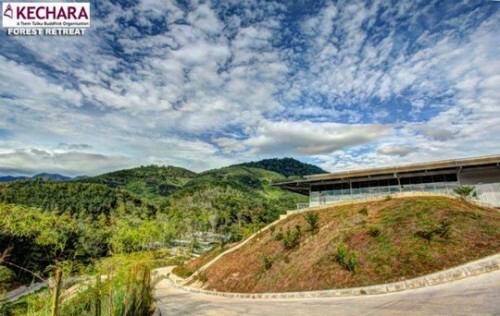 The panoramic view of Phase 1 development of Kechara Forest Retreat. 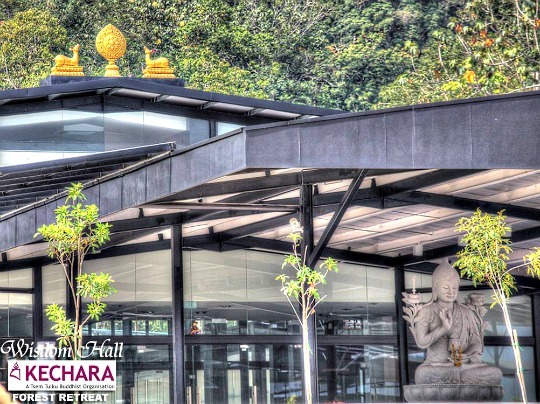 From left to right: Dukkar Apts, Manjushri Hill and Wisdom Hall. Wisdom Hall is the main prayer hall of Kechara Forest Retreat where the 12ft Buddha Shakyamuni statue is enshrined on the main altar. 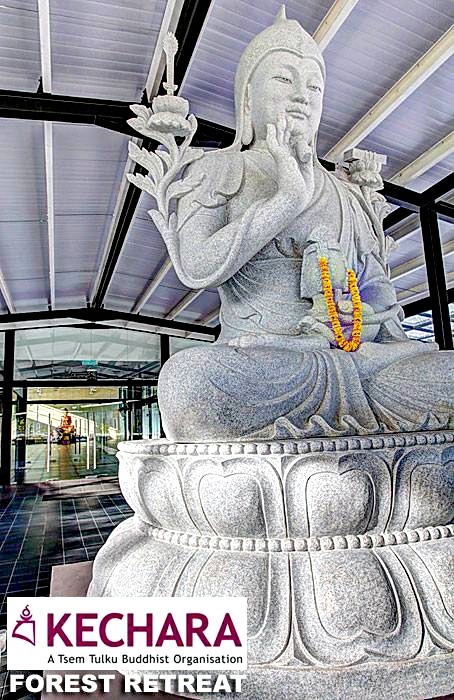 The 9ft stone statue of Lama Tsongkhapa in front of Wisdom Hall, with the 12ft copper statue of Buddha Shakyamuni in the background. 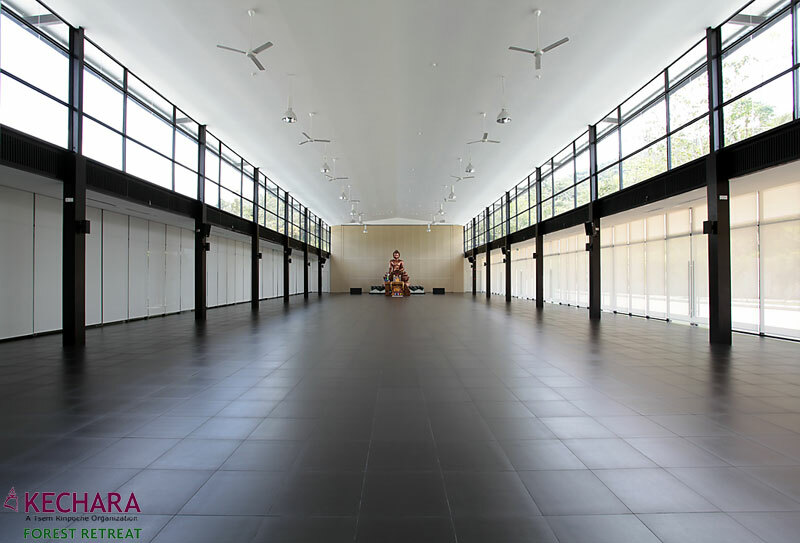 Full view of the spacious Wisdom Hall. His Eminence Tsem Rinpoche’s throne in front of the Buddha Shakyamuni statue in Wisdom Hall. The magnificent 12ft Buddha Shakyamuni copper statue. 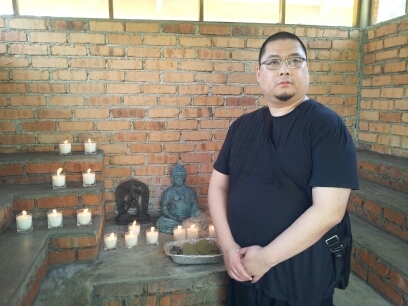 His Eminence Tsem Rinpoche, spiritual advisor of Kechara. 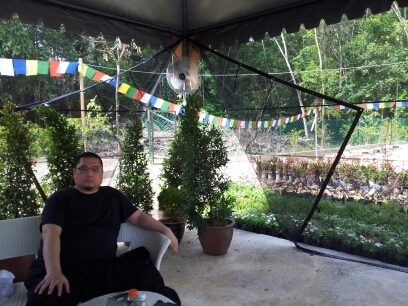 His Eminence Tsem Rinpoche in the audience room of Wisdom Hall in Kechara Forest Retreat. 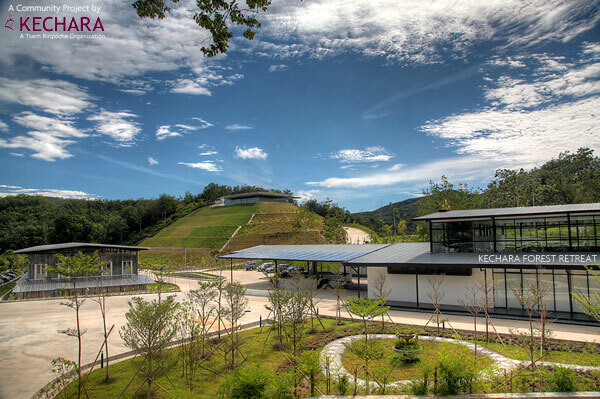 Rinpoche’s great vision one year ago lead to the manifestation of Kechara Forest Retreat today. 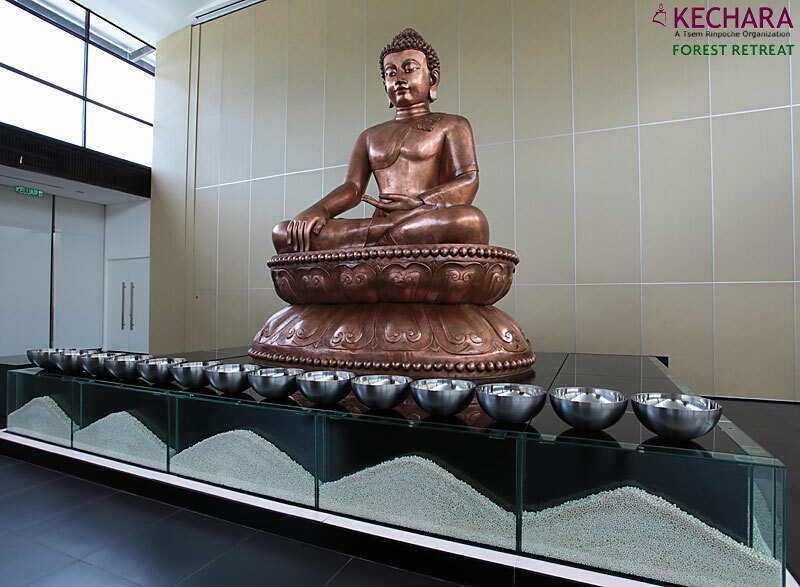 Visitors doing meditation in Wisdom Hall in front of the 12ft Buddha Shakyamuni copper statue. The souvenir shop at Wisdom Hall. 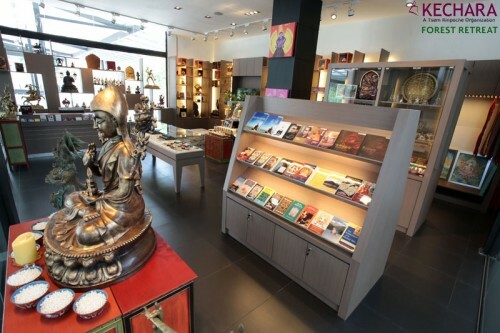 The beautiful souvenir shop at Wisdom Hall. 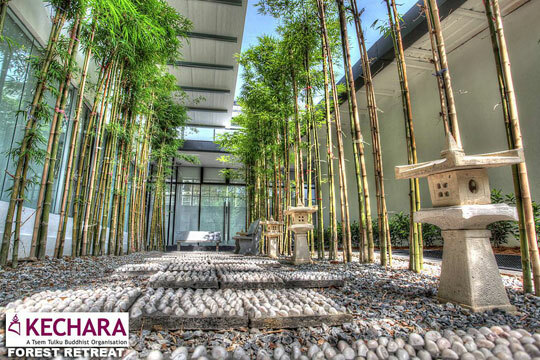 The Zen garden next to the gift building. Manjushri Hill is the place where Kechara’s great writers and IT people work to bring words of wisdom out to the world. Spectacular view of the nature from Manjushri Hill. 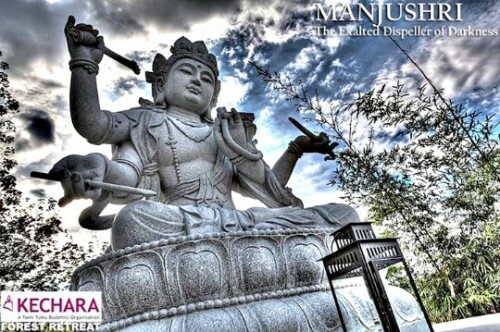 The 9ft Manjushri stone statue on Manjushri Hill. 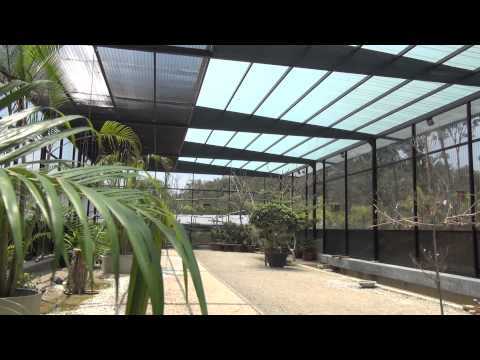 The aviary for rescued birds in Kechara Forest Retreat. 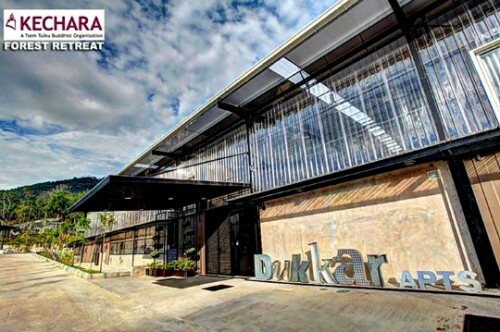 Dukkar Apts, the staying place for staff and guests. 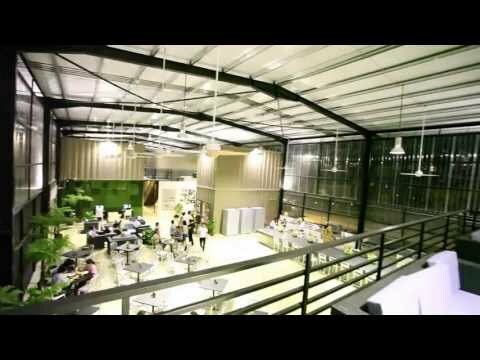 The interior of Dukkar Apts, with containers accomodation for full-time staff, members and friends. The 9ft Dukkar statue in Dukkar Apartments. The iconic mango tree next to the Dining Room of Dukkar Apts. Dukkar Apts in front with Manjushri Hill at the background. Disclaimer: The facilities above may change as the planning is still ongoing. We may have more or new facilities while the project is in progress. 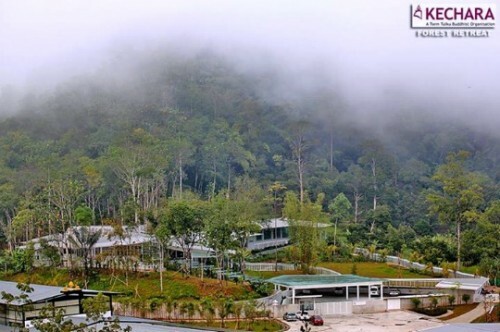 I believe there is a donation drive now to raise RM5m for the buildings on this land. 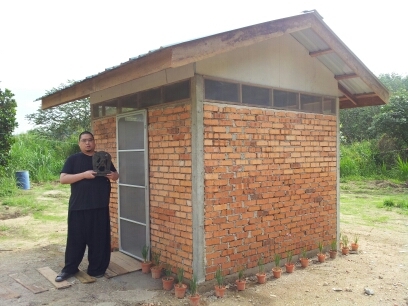 Anyone can contribute RM3.50 per sq ft or 100 sq ft for RM350. They can make their contributions via Maybank online payment as well if they are in Malaysia or overseas.